I’ve got some exciting news. Together with one of my best friends and now business partner Mathilde Simon, I started a local blog about my hometown Rotterdam. 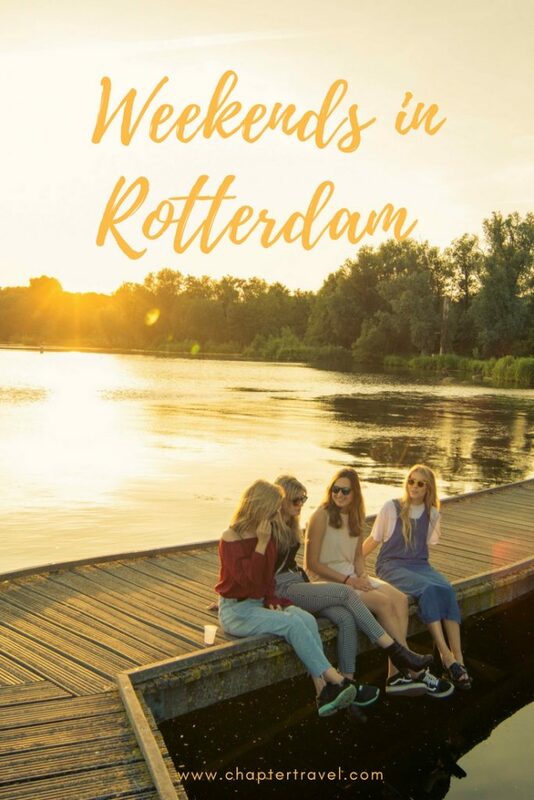 Yes, there is a new kid in town: Weekends in Rotterdam. And we are going live next week. What can you expect on Weekends in Rotterdam? At Weekends in Rotterdam we will share everything you need to know about this amazing Dutch city in both English and Dutch. Not only do we share cool tips for your Weekends in Rotterdam, we also share the best hotspots, various exciting events, fun routes through the city, guest posts and lots of useful information for your visit, such as how the public transport works and more. You are welcome at Weekends in Rotterdam whether you are a tourist or a local. Not only for the weekends, also for a regular week day and night. Because it’s my hometown and I love it. 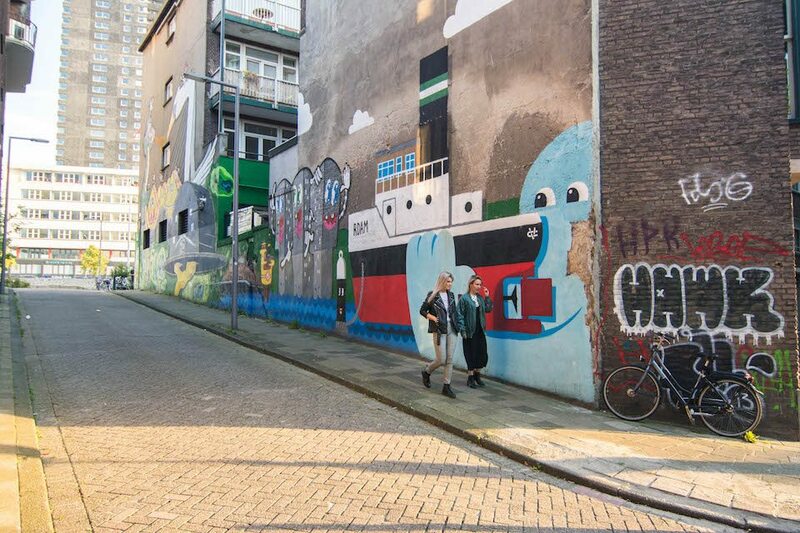 Rotterdam is a cool city with lots of art, amazing architecture, lots of hotspots and countless events. It’s a unique city in the Netherlands. Be sure to read a bit more about Rotterdam in one of my first articles on Chapter Travel: Our home town Rotterdam. Rotterdam is a very cool city and always has been. But sometimes you have to miss something to realise how much you love it. For me this was when I moved to Amsterdam for six months. Before that I always complained that I just didn’t fit in Rotterdam, whatever that means. Once I moved to Amsterdam, I became a sort of ambassador for Rotterdam; always giving advice to others why they should visit and what they can expect. Whenever someone told me they didn’t like Rotterdam, I realised I felt a bit of an annoyance, especially when they haven’t been there in a few years. Because in recent years, Rotterdam has been booming. So after six months of living in Amsterdam, I moved back to Rotterdam and soon after that Jeffrey and I started our long term travels. Again, during our travels I told everyone how cool our city is and how unique it is in comparison with other Dutch cities. Once I returned, I had already planned on creating a website about Rotterdam. What does this mean for Chapter Travel? Although it takes a lot of time to run a blog, I will still work on Chapter Travel together with Jeffrey. We love taking photos together and travelling together, so it makes sense. So, not much will change around here. Actually, there is still a lot of things happening around this blog too. Soon, very soon, this website will be completely translated in Dutch. But of course with two blogs to run, there will be less time to spend on other things and some sacrifices will be need to made. Jeffrey and I have our Instagram Page which takes a lot of time; editing photos, curating a beautiful feed and engaging with our audience. We will still try to do this, but lately I’ve noticed that I have difficulty to regularly post on our Instagram account. This doesn’t mean we will never post again, just not on a regular basis anymore. Jeffrey and I will still travel, but like I said before, in the nearby future we will mostly focus on travel in Europe. We are actually excited to see a bit more close to home. It’s also quite exciting to write more about Rotterdam and maybe even a bit scary. But the scariest things are often the best in the end! So are you heading to Rotterdam? Feel free to ask us any questions, but first and foremost check out our newly launched website Weekends in Rotterdam!